SPORAH TV: DO PARENTS LOVE ADOPTED CHILDREN DIFFERENTLY? DO PARENTS LOVE ADOPTED CHILDREN DIFFERENTLY? 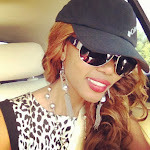 Hi Sporah, My name is Lucy M.. from Uganda. As an adoptive parent, i love my daughter with every breath of my being. She joined our family when she was 8 weeks, 5 days old. She is now 13 months old. There have been, and there will be, hard times, but I almost feel like she is perhaps loved MORE than a bio child I may have had, because of the struggles we survived to get to where we are now. But I can’t say for certain, as I’ve not experienced pregnancy. 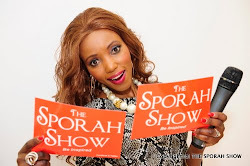 THANK YOU SO MUCH LUCY FOR SHARING YOUR LIFE WITH THE SPORAH SHOW. IS IT POSSIBLE TO UNCONDITIONAL LOVE AN ADOPTED CHILD??? Hi sporah, it all Depends why they adopt. Some do it plainly for the money. get money from the government monthly. MMH MAMA WA KAMBO NI NOMA. Quite frankly, I'm closer with my son who happens to be adopted, than I am with my oldest, who I gave birth to. My relationship with my late husband's son (my step-son) is good, but not the same as either. It's a lot to do with the fact that he was already grown and out of the house when I met my late husband. Looove it, i guess that is one thing that is sooo special about you. 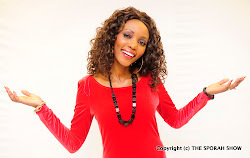 ONLY ONE SPORAH, THE NO 1 DIVA IN TOWN. I love you sporah, i love you.. I believe there are some people who are unable to love a child unconditionally unless it is their own. Great Show. It is absolutely possible to love an adopted child unconditionally. Many have done research on the issue. SPORAH SPORAH SPORAH SPORAH SPORAHHH, What you doing my dear is my dream. Exactly. YOUR MY FAV LADY OF ALL THE TIME!!! haiwezekani kuwapenda wote sawa, uchungu wa mwana ajuae ni mzazi. You should love all your children unconditionaly ,no matter if you carried them or not. I love my childs friend as much as I love MY kids, she has been my little friend since she was 5 she is 10 now. I would love to be her mother.